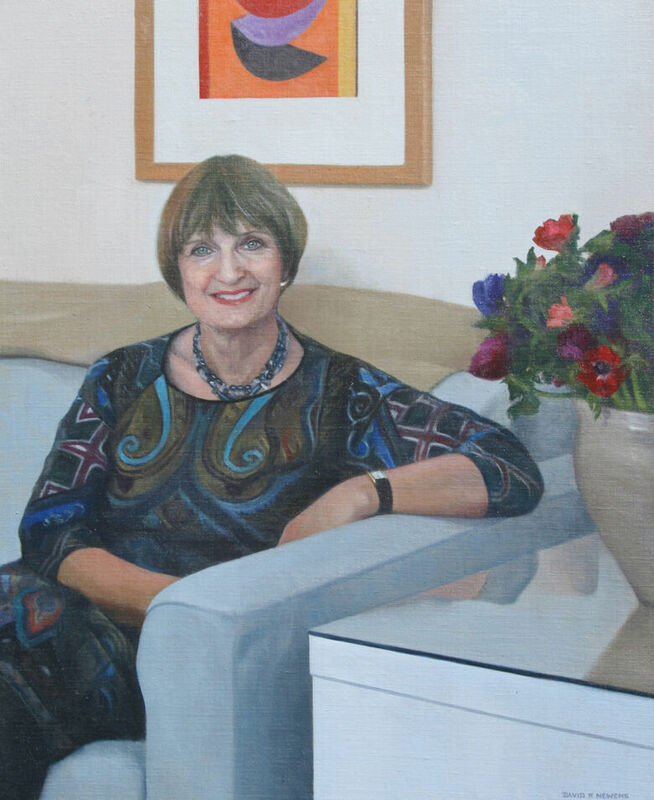 It would normally be my practice to avoid having the subject smile in a portrait painting. However, I was persuaded by Baroness Tessa Jowell that she most definitely wished to be portrayed with a smile, which I came to realise is very much part of her cheerful/optimistic personality and entirely appropriate. The print on the wall behind her head is by Terry Frost RA.